Is Your Home Heat Working? | Robert B. Payne, Inc.
Is Your Home Heat Working? We often take our heating systems for granted – that’s just natural. When the system works, we barely think about it. But, when the heating system fails – as homeowners we are often up in arms! 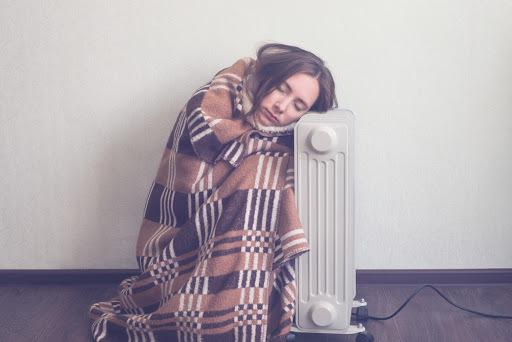 We simply expect our heating system to operate at peak performance year-round, especially during the winter, without undergoing maintenance or professional HVAC installation. But that’s not how things work. For the best results, you need to schedule both professional installation and occasional heating system maintenance. So, let’s ask: Is your home heating system working properly today? As we approach winter, now’s the time to schedule maintenance and repairs for your home’s heating system. Before the first snowfall, you want an optimized heating system that can handle the upcoming load. If it’s not fully doing its job, you may want to consider professional installation on a new system, maintenance, or prompt repairs. Here are a few signs that your heating system is beginning to fail. Noise – A noisy heating system is common. But if this noise has recently increased tenfold, then something is likely wrong with the unit. Listen for a metallic scraping sound – that usually indicates a problem with the blower wheel or motor. Constantly On – A constantly-running heating system is a problem. Routine maintenance and a thorough cleaning can typically help in this case. If the unit runs past its expected run-time, this issue will likely affect efficiency. Uneven Temperatures – An unevenly-heated home typically means a blockage within your ductwork. Undersized components can also be an issue, which can be resolved with professional installation. A dirty filter or blocked register is also a common cause, and in these two cases you can safely handle the fix on your own. Increased Energy Bills – While your monthly energy bills likely vary month-to-month, have you seen a significant increase lately? That’s indicative of a more severe issue. Your unit is likely running longer and working too hard. In this case it may be time to schedule an energy-efficient replacement. Get professional help here. There’s a variety of heating systems on the market today, each with its own benefits and drawbacks. Consider both pros and cons before scheduling a professional HVAC installation! However, most heating systems do operate in the same manner. The basic principle is that heat moves from a warm object (furnace, heat pump, etc.) towards a cool object (your home). Every type of heating unit burns fuel. Many use electricity, natural gas, or fuel oil. You’ll need to consider the fuel source when choosing the system. The costs will vary, as will potential issues with the type of unit. When your furnace is turned on it uses the fuel, whether that’s gas, oil, or electricity. As the fuel is burned, heat is channeled into your home through ductwork, pipes, or wires. Some homes still utilize registers, radiators, and heating panels, too. A lack of heat may indicate an issue with the fuel source. This is why you want to bring in a professional HVAC technician to examine, repair, and install your heating system. Schedule prompt heating system installation, maintenance, and repairs with Robert B. Payne, Inc. Give us a call at (540) 373-5876.